I want you to ship the dish screws on the same day. Spacers arrive first, screws are delayed after 4 days. This review is about item#41745033. Although I made a mistake and ordered a small head size, there is no problem with quality and price. Even if we say small heads, I think that attention is necessary because almost no change from standard products. This review is about item#41744945. I ordered my head size incorrectly but it is OK so I can use it! I found that I wanted something that I want, so I would like to use it again. This review is about item#41744893. M.2 Used when making a heat spreader by aluminum plate for cooling SSD. M.2 SSD is a storage device that can perform much faster reading and writing than 2.5 inch SSD, and once it starts to use it is no longer a 3.5 inch HDD but even a 2.5 inch SSD will be irritated late. However, when frequent access continues, it gets hot and you keep on using it, you have a troublesome problem that you will soon be at the end. 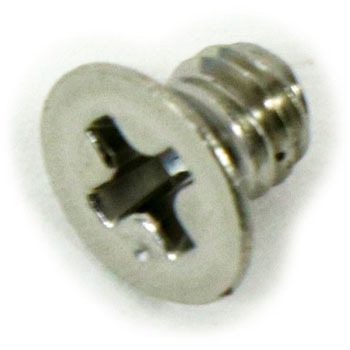 Therefore, by using an aluminum plate of 0.5-1 mm thickness as a base and screwing an aluminum plate of 2.5-3 mm thickness on the top, you can easily make your own heat spreader (thermal grease is essential) It is necessary to embed the head of the screw at the same level as the bottom of the underlay, and this screw is more handy because it is easier to handle than a normal flat head screw. This review is about item#41744875. This review is about item#41744902. I wanted a small long bolt so it was not easy to do. It was easy to use in small heads, and it was able to be used without problems. This review is about item#41745042.